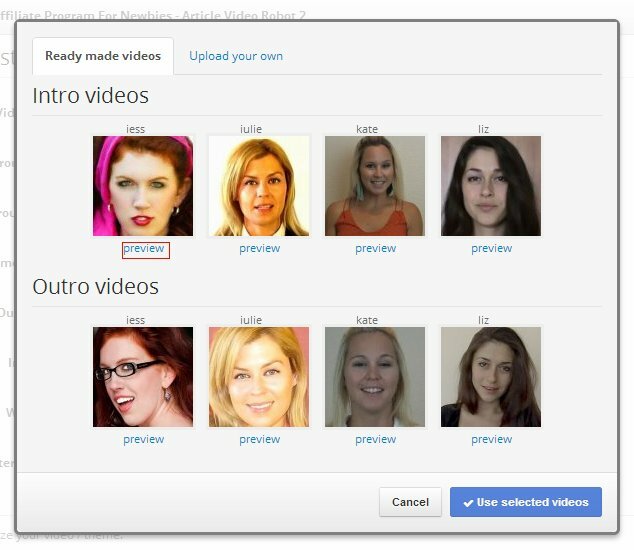 Call-to-action Intro/Outro videos are probably the biggest differentiating feature for your video in the recent times. To give your videos a human face we have hired dozen of artists to record a custom call-to-action voice-overs for your videos which are automatically added at the start and end of your video. You can think of it as a human call-to-action for your video. 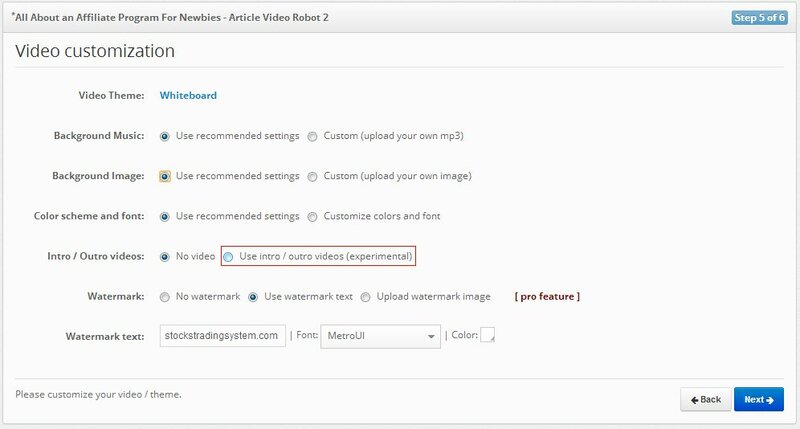 To add a call-to-action into and outro video to your project just select the "Use intro/outro videos" option from the Video Customization screen. This will bring up a popup with ready-made intro and outro videos for your movie. You can click the preview button at the bottom of each video to check it out before selecting it for your movie. Once you finalize your intro and outro video you can click the "Use selected videos" button. 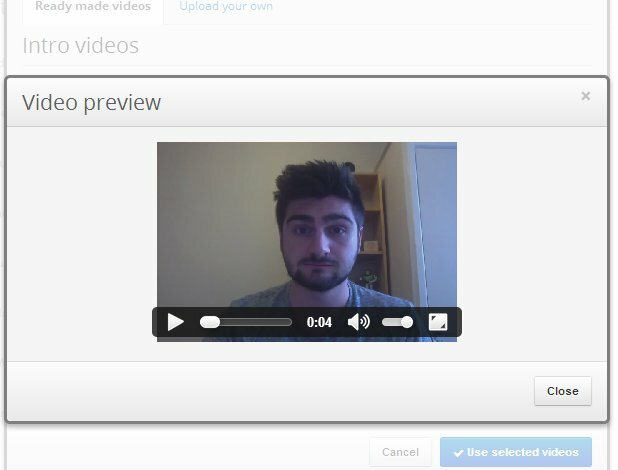 You can also upload your own call-to-action message as your intro and outro videos from the second tab as well. This feature can really make a lot of difference to your video as it will make your video more interactive and give a personal touch to your video. This is really important for viewer engagement. Please note that you can click again in a selected video to de-select it. “This is a great feature. Thanks! However, when I select an Intro voice over, the intro video overlaps with the 1st part of my video. That is, the intro voice over talks at the same time as the start of the video. The actual video should not start to play until the intro clip is completed. I would appreciate your help in resolving this. “You guys gotta make the site easier to navigate!! Its exasperating to deal with it when things are NOT easy to get to or can't be found.